Think Apple and Samsung are the only two phone companies battling it out in patent disputes? Think again. A Swedish arbitrator has just ruled in favour of Nokia against RIM, claiming the BlackBerry maker owes Nokia royalties for every Wi-Fi enabled smartphone sold. The arbitration proceeding was initiated to try and extend a 2003 patent deal between the two companies to include devices with Wi-Fi. In the end though, the ruling fell in Nokia's favour. "RIM is liable to pay royalties and damages to Nokia for its ... sales of any subscriber terminals (handsets or tablets) ... compatible with the WLAN standard," the ruling stated. There doesn't seem to be too much wriggle room for RIM to get out of this one. The ruling can't be appealed, which means that the Canadians either need to reach a royalty agreement with Nokia, or risk having an injunction put against all their products. 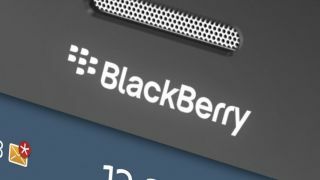 The ruling comes at an inopportune time for the Canadian company, just months away from releasing its long awaited BB10 operating system. With so much riding on the new platform's success, analysts are expecting the company to reach a royalty agreement with Nokia relatively quickly to enable the smoothest possible launch for BB10.